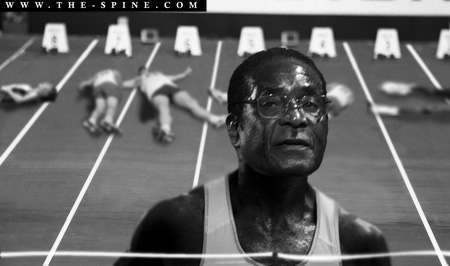 And in more news on how Gordon Brown is forging greater links with Mugabe’s Zimbabwe. As Monetary Authorities, we have been humbled and have taken heart in the realization that some leading Central Banks, including those in the USA and the UK, are now not just talking of, but also actually implementing flexible and pragmatic central bank support programmes where these are deemed necessary in their National interests. That is precisely the path that we began over 4 years ago in pursuit of our own national interest and we have not wavered on that critical path despite the untold misunderstanding, vilification and demonization we have endured from across the political divide. ….leading central banks in the global economy are bailing out troubled economic sectors to achieve macroeconomic and financial stability….the Bank of England… providing a £50 billion lifeline to the UK’s banking sector. Here in Zimbabwe we had our near-bank failures a few years ago and we responded by providing the affected Banks with the Troubled Bank Fund (TBF) for which we were heavily criticized even by some multi-lateral institutions who today are silent when the Central Banks of UK and USA are going the same way and doing the same thing under very similar circumstances thereby continuing the unfortunate hypocrisy that what’s good for goose is not good for the gander….